The index opened positive around the highs of day but saw profit booking at higher levels to close at 8666.90, small loss of 6.35 points. The broader market was positive with 898 advances to 698 declines. Range stays at 8500-8800. 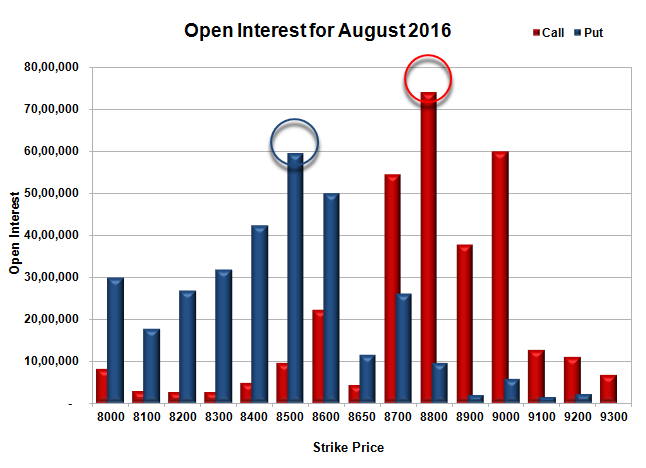 Call option 8650-8900 added 12.63 lacs OI with profit booking at 9000 and above strike prices. Put option 8650, 8500 added 9.09 lacs OI with profit booking at 8600 and below strike prices. 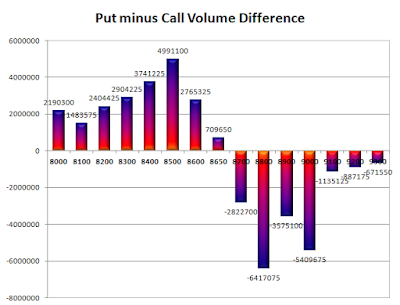 Nifty Open Interest is at 2,32,11,375 down by 6,34,725, whereas next series added 7.01 lacs with not much change in price, most probably 100% roll-over with small long build-up. Bank Nifty Open Interest is at 21,94,760 up by 22,640, whereas next series added 1.60 lacs with increase in price, most probably 100% roll-over with huge long build-up. 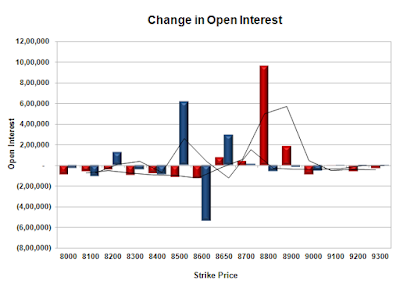 FII’s bought 3687 contracts of Index Futures, which includes net 5754 contracts long build-up and 2067 contracts short build-up, with increase in net OI by 7821 contracts, includes 30273 longs to 26586 shorts for the day. 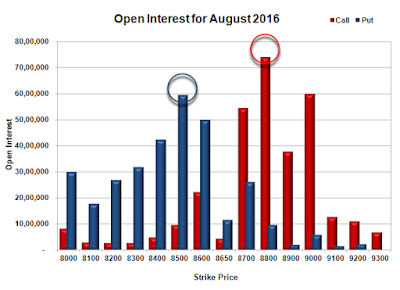 FII’s Index future open contract as on date is 310828 Longs to 56598 Shorts, Net long 254230 contracts. 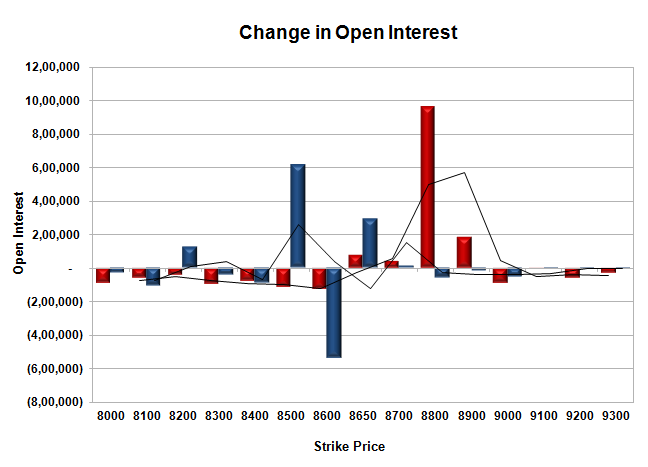 Initial support at 8600, with OI of 49.92 lacs and below that at 8500 with OI of 59.51 lacs. Initial resistance at 8700, with OI of 54.37 lacs and above that at 8800 with OI of 73.92 lacs. Day Range as per Option Table is 8614 - 8725 and as per VIX is 8601 - 8733 with 8670 as the Pivot.